When asking DTM drivers about their favorite track, the answer is almost always the same: Zandvoort. The roller coaster track on the Dutch North Sea coast hosts DTM races nine and ten this weekend (July 14/15). 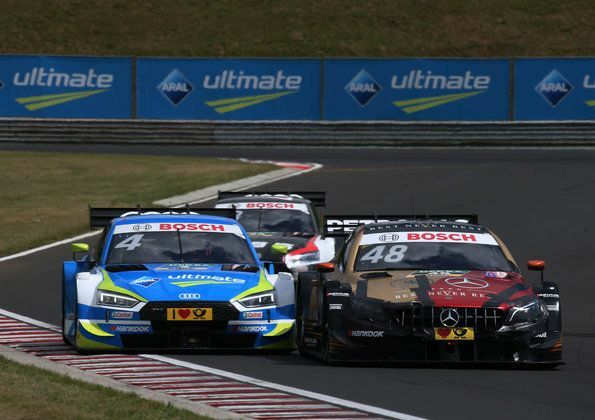 Local hero Robin Frijns can hardly wait to tackle the 4.307-kilometer race track in the dunes of the popular sea resort in his Audi RS 5 DTM, but his five brand colleagues enthuse about what is arguably the DTM’s most challenging race track as well. The Audi drivers have many memories of particularly emotional experiences at Zandvoort. Mike Rockenfeller in 2011 celebrated his first DTM victory on the North Sea coast. Two years later, he crowned himself champion there. 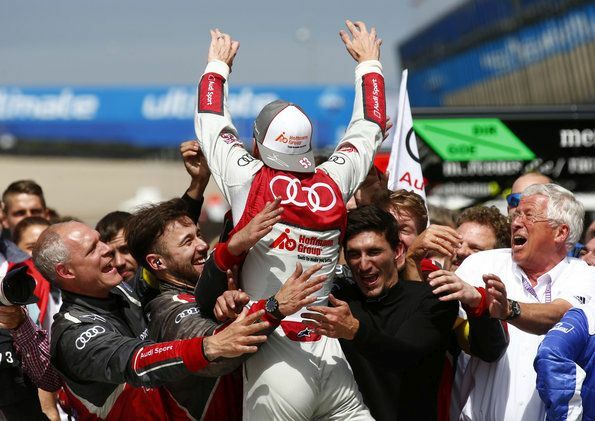 His teammate, Loïc Duval, clinched his first podium finish in the DTM at Zandvoort last season and, having posted a time of 1m 29.168s, is currently the DTM lap record holder. Nico Müller has shown a number of remarkable fightbacks on the dune circuit and on several occasions just barely missed scoring a podium result. 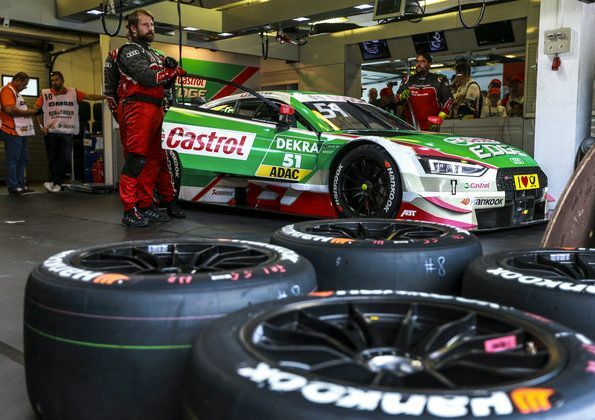 Current DTM Champion René Rast made an unexpected DTM debut literally “overnight” at Zandvoort in 2016 when he replaced Adrien Tambay who had been injued in the Saturday race. His teammate, Jamie Green, calls his 2016 triumph at Zandvoort the most valuable of his 16 successes in the DTM to date. DTM rookie Robin Frijns knows Zandvoort from single-seater racing and GT 3 events he contested in the Audi R8 LMS. “The track allows no mistakes. Otherwise you’ll quickly end up in the gravel or directly in a fence,” says the Dutchman before his first DTM round on home soil. “The track configuration is very narrow, which makes overtaking difficult. 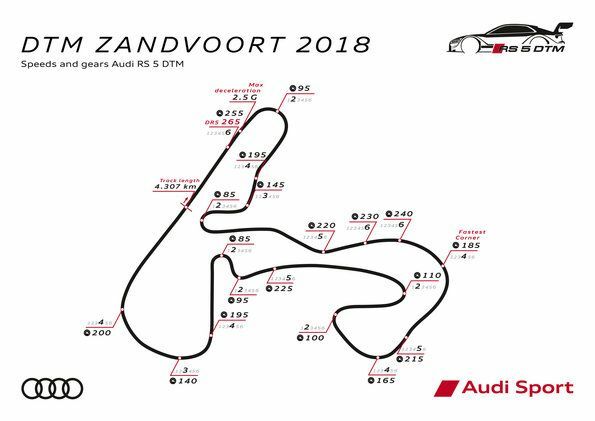 The best opportunities exist in the so-called Tarzanbocht and in the Audi S.” His personal favorites are the high-speed sections such as the extremely fast Scheivlak corner which is taken by the race drivers at a speed of about 240 km/h. Zandvoort is regarded as particularly challenging not only due to its fast turns. The entire circuit is located in the middle of the dunes directly on the North Sea coast. Gusty winds the drivers feel inside their race car are not uncommon and sand is frequently blown onto the track, so grip levels may vary from lap to lap. The loads acting on the tires at Zandvoort are heavier than those at other DTM race tracks as well. Especially the left front tire is subjected to high loads. “Due to the reduced downforce, this will likely be an even greater issue this year than in the past,” says Head of Audi Motorsport Dieter Gass. “I expect that we’ll be seeing two classic races with pit stops about halfway through the race. Strategically, there aren’t too many options without taking a major risk.” Gass will be watching the DTM races around breakfast time from New York City where the finale of the Formula E electric racing series takes place on the same weekend. The races at Zandvoort on Saturday (July 14) and Sunday (July 15) are scheduled to start at 1.30 PM local time. In Germany, the two qualifying sessions can be watched on a live stream at ran.de and the races live on SAT.1.